In conjunction with the fall editions of Pennsylvania Legacies and Pennsylvania Magazine of History and Biography, this display explores the history of disability and education as seen through HSP’s collection. Nellie Rathbone Bright addresses the educational aspect of both themes. An African American woman, her objective as an educator was to further educational success for people of color. Elwyn Institution and Overbrook school for the Blind are two institutions that focused on educating the disabled. 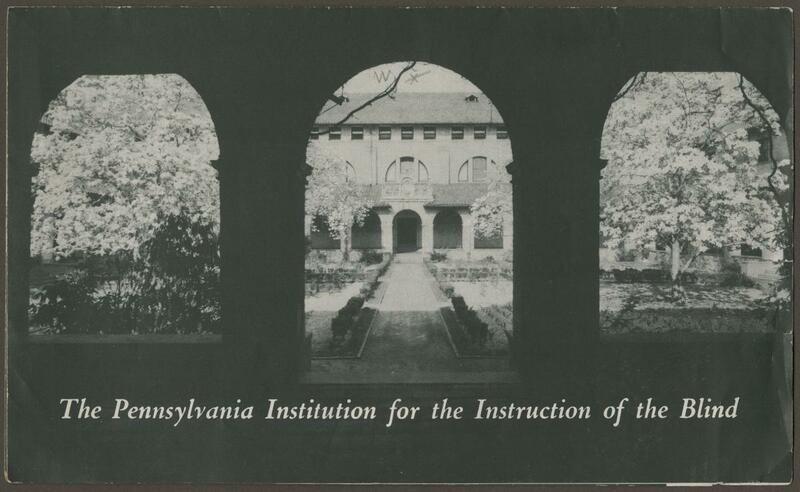 Historically, Elwyn focused on the mentally impaired whereas Overbrook School focused on the blind. Materials about Byberry, a mental asylum, showcase the condition of its hospital and how that eventually caused its abandonment.